Stuttgart is not a destination which many people would immediately think of as a getaway, but the city has a lot to offer all types of visitors. Stuttgart is the capital of the state of Baden-Würtemberg and is beautifully positioned at the edge of the Black Forest; and as one of Germany's leading industrial cities, it is a hive for both holiday and business travelers from around the world. With a friendly atmosphere and easy hospitality, the charms of this city do not always unfold immediately to visitors; instead, they sometimes need to be sought out or looked up through tourist information before they will offer their full reward. A good starting point for any visit is the restaurant on top of the TV tower; while slightly pricey, it provides a great view of the city and the Neckar valley. The Achat Hotel Stuttgart contemporary hotel, part of the Hotel Achat chain, is located in Zuffenhausen, about 10 kilometers north of Stuttgart, and almost next door to the Porsche museum and factory. For relaxation and libation, guests at the Achat Hotel Stuttgart can visit the lobby bar, which serves German draft beers, as well as bottled beers and cocktails. For sustenance, Da Gianni restaurant specializes in Italian food. 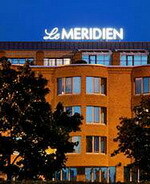 Other hotel amenities include an underground parking garage and wireless Internet access. Among the outdoor activities in the area are horse-riding and hiking. Guests visiting the Achat Hotel Stuttgart, will find that Stuttgart is also a Mecca for car enthusiasts; the Porsche museum is adjacent to the hotel and the Mercedes Benz museum is 14 kilometers away. A similar distance in the other direction, Ludwigsburg is home both to an impressive castle and a famed porcelain factory. 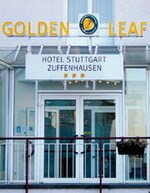 Stuttgart Airport is 30 kilometers (19 miles) from the hotel, or about 35 minutes by car. 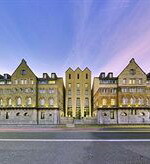 Arcotel Camino is located in Stuttgart, Germany, 500 metres from Stuttgart Hauptbahnhof. The Art Museum, the Staat Gallery, and Wilhelma Park are within two kilometres of the hotel. Built in a modern style by Austrian architect and designer Harald Schreiber, Arcotel Camino features a suspended glass catwalk leading to the rooms and to the wellness centre. Fitness equipment, a sauna, steam bath, and solarium are available in the wellness centre, and guests can park in the hotel's garage. Restaurant Weisenhof is decorated in warm and earthy colours and serves modern Austrian dishes. Snacks, lunches, and cocktails are available from Bar Scala, where guests can relax in front of the fireplace. Wilhelma Park, two kilometres from the hotel, is a botanical garden and zoo that has several glass houses with tropical plants and orchids. There are also more than 8,000 animals of 1,000 different species, and an aquarium. The InterCityHotel Stuttgart is a modern property in the centre of Stuttgart set in the imposing main station building, 600 metres from the Castle Gardens. The InterCityHotel Stuttgart Bar serves regional wines and beers and other national and international beverages, and guests can start the day with the hotel's breakfast services and browse the complimentary newspapers on offer in the lobby. The hotel has a 24-hour front desk with a safe-deposit box, wireless Internet access in public areas, a dry cleaning service and onsite garage parking for a surcharge. 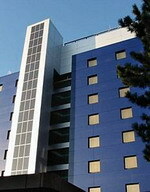 The hotel also houses two conference rooms for up to 40 people. Guests are in an excellent central location close to many of Stuttgart's sights and main areas; the Castle Gardens are 600 metres from the hotel, the Linden- Museum is one kilometre away, and the Mercedes-Benz Museum is three kilometres away. 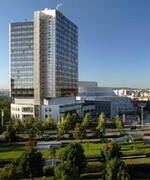 The Millennium Hotel Stuttgart is in Stuttgart, Germany. 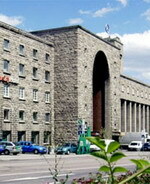 The Wilhelma Zoo and the State Art Gallery are eight kilometers from the hotel. 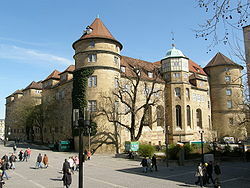 The Botanical Gardens and the Daimler- Benz Museum are 10 kilometers away. 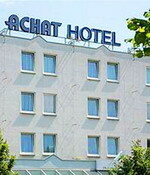 Stuttgart Airport is approximately eight kilometers from the hotel. The lobby of the Millennium Hotel Stuttgart features cool gray marble floors accented by floor-to-ceiling pillars, dark wooden furniture and upholstered chairs and sofas. The multilingual staff is available at the 24-hour front to desk to assist with currency exchange. The hotel's restaurant, Don Giovanni, is open for dinners and offers Tuscan style cuisine. The Hausbrauerei Schlossturm serves Bavarian menus and beer brewed onsite. During the summer guests can eat or drink in the beer garden. Wireless Internet access is available. The SI Event Center, in the same entertainment complex as the hotel, offers a casino, six-screen movie theater, health spa, fitness center and 19 restaurants, cafes or bars. The feeling of well-being at the highest level – the team from the Steigenberger Graf Zeppelin is there to create this experience with their fantastic all-round service. This top hotel not only offers excellent accommodation in its stunning rooms and suites but also presents exquisite cuisine. Located on the most attractive side of the city, you can also relax with a view of the city rooftops in the Shiseido Day Spa. Travel with indulgence. Enjoy an evening in our gourmet restaurant OLIVO and be pampered by our chef de cuisine Marc Rennhack. Step into the Mediterranean flair at "Zeppelino’s". We offer a large selection of Mediterranean delights at any time of the day. The perfect choice for business lunch or casual dining. In the “Zeppelin Stüble” you will be presented with regional Swabian specialties. Whether it’s “Flädlesuppe” (soup), “Maultaschen” or “Ofenschlupfer” – enjoy the local dishes with a glass of wine in the cosy but dignified atmosphere, as well as the friendly service. Whether you are in Stuttgart for business or pleasure, the Top Kongresshotel Europe is a great place to enjoy a cosy accommodation and friendly services. 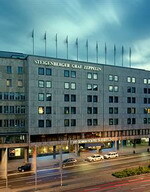 Ideally situated between the Killesberg Exhibition Centre and the city centre of Stuttgart, Top Kongresshotel Europe is only 50 meters from the underground station Maybachstrasse with direct connection to main train station. The extensive breakfast buffet served at the hotel will ensure you a pleasant start throughout the day. The in-house Spanish Restaurant Granada offers you a wide variety of international and regional specialities. The atmosphere in the Cocktail Lounge invites you to linger a while as you enjoy a large selection of exotic cocktails. A wide range of technology equipment is available on-site for the convenience of business guests, to help them host their meetings and conferences. In addition, there is a well-equipped fitness centre for you to have a great workout while the beautiful spa is a perfect spot to unwind yourself.